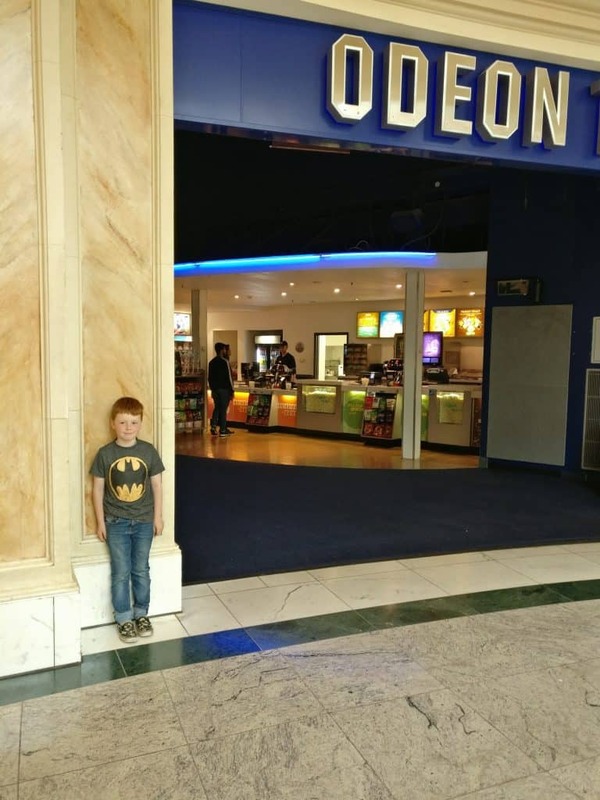 Towards the end of the summer holidays we were treated to a day out at the Odeon cinema and some tasty treats all curtesy of Yazoo No Added Sugar. 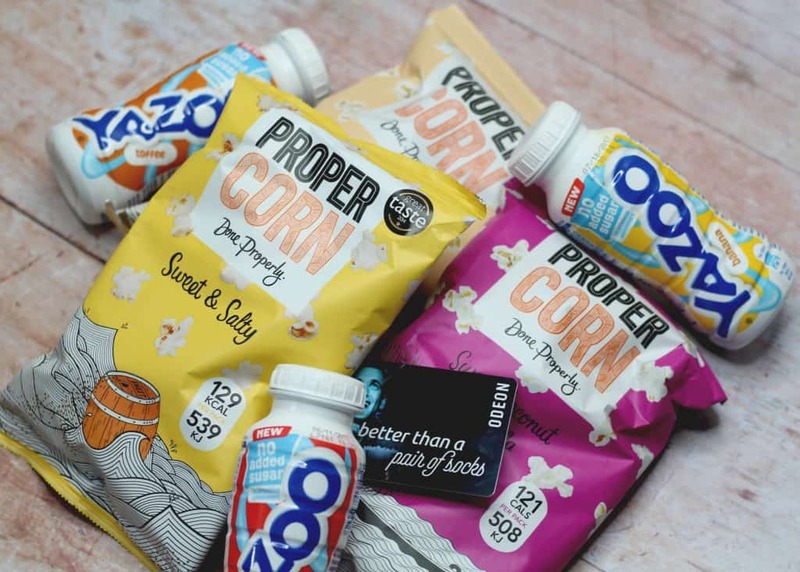 The summer holidays can be an expensive time so when Yazoo No Added Sugar sent us a Family Fun pack we were excited to head off to the Odeon and enjoy a film and some tasty snacks. Our closest Odeon Cinema would be Manchester Printworks or The Trafford Centre. It made sense to combine our trip with some back to school shopping so we headed to The Trafford Centre where it’s free to park and everything is under one roof! Henry picked Captain Underpants as his film of choice. In honesty, I had mixed feelings about a film that contained the word ‘underpants’ in the title. Still I persevered and it was actually pretty good! We enjoyed our tasty treats compliments of Yazoo which were a selection of Proper Corn and some tasty Yazoo No Added Sugar. Overall, we had a really great day out and it was lovely spending some one on one time with my boy. It was nice to know that we had enjoyed some treats that weren’t full of sugars! Since our cinema adventure we have been enjoying Yazoo No Added Sugar as a tasty treat between meal times and it makes a great addition to the after school run. I find that it helps keep Henry full whilst I get the tea on and prevents him from snacking on junk style food like crisps and biscuits! I always avoided flavoured milk drinks or milkshakes because the sugar content in some of them is astronomical. Childhood obesity reasons aside that much sugar in the evening is a recipe for disaster with a child. It was interesting to learn that this drink contains the same amount of sugar as a glass of semi-skimmed milk. Often when sugar isn’t added it means that in its place there are a number of artificial sweeteners. I have mixed feelings on artificial sweeteners! I was relieved to learn that isn’t the case with Yazoo No Added Sugar! Yazoo No Added Sugar sounds great on paper but what does it taste like? I was concerned that Henry – who has an excessive sweet tooth – would not be as easily sold as I was. We had three flavours to try Strawberry, Toffee and Banana. Henry enjoyed all three flavours and didn’t notice that there was no additional sugar or sweetener. He loved Strawberry the most but that would always be his flavoured milk of choice so the fact that despite this drink containing no additional sugar it was still his favourite was a good sign. I must admit that the taste was lovely. Honestly you wouldn’t know that it doesn’t contain sugar because I really don’t feel it needs it! Each flavour tastes exactly as you would expect and there are no chemical or artificial tastes. On a whole I am really impressed. In the future I will absolutely continue to buy Yazoo No Added Sugar for a tasty, low sugar treat! 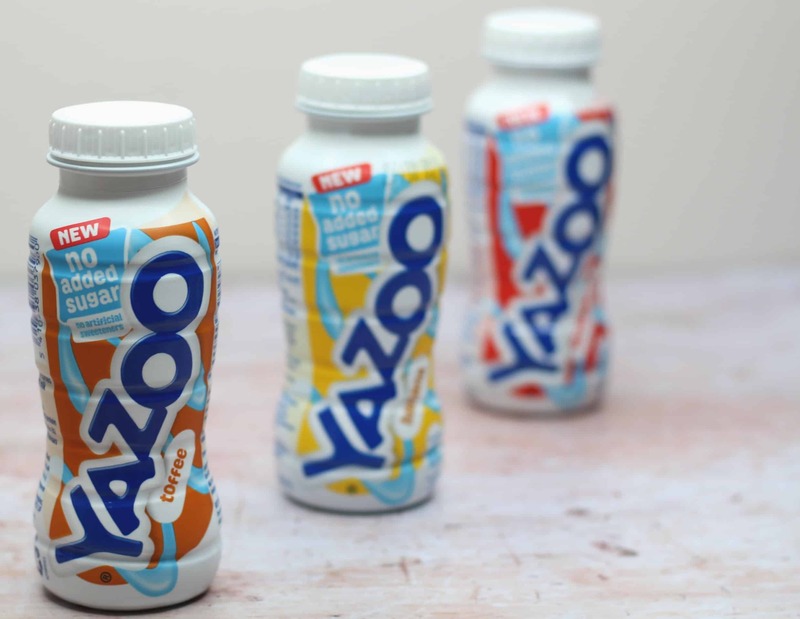 Have you tried Yazoo No Added Sugar yet? Head over here to find out more! *I received a Family Fun Pack courtesy of Yazoo No Added Sugar on a gifting basis. As always all views, opinions and words remain my own. Some images were provided. For more information on any of this please head over to this page.